Owing to years of experience in the industry, we offer functionally advanced array of Hinge Lid Packing Machine. This packing machine is known as Hinge Lid Packer Flip flop Type (HLP - 200) with aluminum foil bundle. It packs up to 200 pockets per minute ranging from 10 to 20 cigarettes per packer. This machine is manufactured as per International Standards. The length of the cigarette can be from 69 mm to 1 20 mm length. Dynamic Tools Pvt. Ltd. has earned enormous prestige and widespread reputation through its famed services to its wide customer base. With actual mainstay in Andhra Pradesh, it was established in the year 1996. 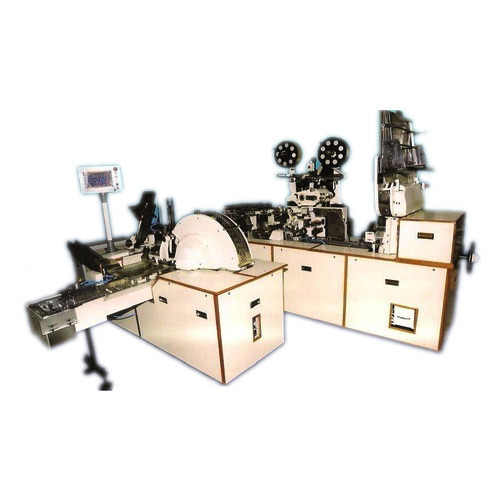 We have become the leading Manufacturer, Exporter and Supplier of a massive array of machines such as Cigarette Machine Spare Part, Cigarette Making Machine, Packaging Machine and lots more. Since 2002, our expertise and productivity has paved path for many more innovative technological evolutions. They are formulated using advanced industrial techniques. Our products are in huge demand in both national and international market. We have gained huge support and trust from customer alliances all over the country and also abroad.